As we know Google panda update strikes and still striking the best SEO practices. Even if your site follows all search engine friendly structure guidelines the main goal should also include user’s experience. For this the key metrics are bounce rate and browse rate. Your Bounce rate should not be 100% and your Browse rate should be 100%. 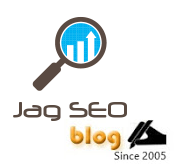 Browse rate refers to the visits page depth and time spent on each page. If your site looks good and the content is informative then your page should be one of the favorites for the visitor. By now you would have got an idea on Bounce rate and Browse rate metrics and how it helps your organic listing. Work on your site and improve user’s experience.